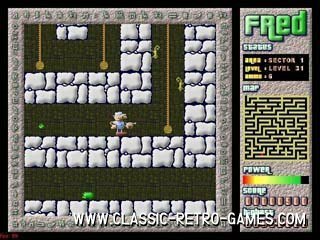 Fred, which is also known as Roland on the Ropes is an eighties' classic platform game which was released for Spectrum, Amstrad, and Commodore64. Relive this classic by playing the PC remake! Currently rated: 3.4 / 5 stars by 19 gamers.